Mountain Peak closing ceremony for your next Pack Meeting. Free printable included. This ceremony is based on the story, “Climbing the Mountain” by Ernest Thompson Seton. The den forms a tight circle with the den flag in the center. Each boy grasps the flagstaff with his left hand and makes the Cub Scout sign with his right hand, and says the Cub Scout Promise. 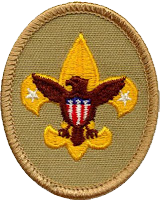 Leader: These scouts have completed the requirements for the rank of Tenderfoot. Leader: Since you first joined this Troop, you have said the words of the Scout Oath many times. 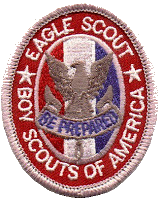 You have learned many skills which will serve you well as you travel on your boy scout trail to become an Eagle Scout. You have learned some basic first aid skills and to tie knots and you have improved your physical fitness. But these skills are only the beginning. As you advance into other ranks, you will learn more knots, more first aid skills, how to use a compass, how to cook, and most importantly how to lead others. The activities you participate in will become more challenging and more rewarding. 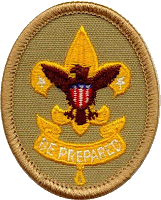 When you passed your Board of Review, you became a Tenderfoot scout. I now present to you your rank advancement card which documents this achievement. Keep this cards, and all other cards you receive in Scouting, in a safe place. 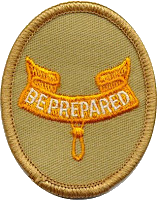 As you advance in Scouting, these are very important in documenting your achievements. When you submit your Eagle application or if you move to a new location, you will need these cards. 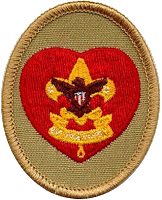 I am also presenting you with your Tenderfoot badge. 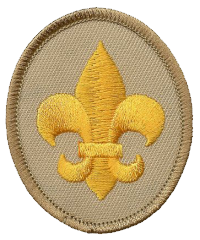 This announces to the world that you have reached the first advancement level in Boy Scouts and you are on your way along the path of scouting. Finally, you are given a small pin to pass on to your parent as a keepsake of this step you've taken towards becoming an independent young man, able to take care of himself and help others. Leader: Troop ____, please stand. Introduction: Indian Drummer begins soft, slow rhythmic beat. CM: When a boy joins a Cub Scout Pack, he earns the badge of the Bobcat and starts on an upward trail. This trail will lead him through the footsteps of the wolf, the bear and the Webelos brave, and on his way to the highest honor of Cub Scouting, the Arrow of Light. Tonight, we honor those Scouts who have made a significant advancement along this journey. Would the following Scouts and their parent please come forward. to help other people and to obey the Law of the Pack. CM: Do you want to wear the sign of the Wolf? If you do, please say "yes". CM: You have worked hard with your Den and your parents to fulfill the Wolf requirements. You are now ready to wear the sign of the Wolf. The blue on your chin stands for HAPPINESS from your days as a Bobcat. The red on your forehead is for BRAVERY when you become a Bear. The yellow across your nose is for SUNLIGHT along the Wolf trail. Wolf Cubs, remember the meaning of your Wolf paint. It shows that you are ready to move along the upward trail of Scouting. I will present your badge to your parent who will pin it to your uniform when you go back to your seat. Boys, parents and guests of Pack 61, please join me in congratulating these boys in their achievement with the Cub Scout Cheer. I yell CUB -- audience yells SCOUTS (3 times) than conclude with applause. is from the sky. The paw print of the Bobcat on your forehead is the spirit of the bobcat. This reminds you to do your best on the Cub Scout Trail. is from the sun. The marks under your eyes will help you see the light of the Cub Scout trail and they symbolize the bright spirit of Cub Scouting. is for purity. The mark on your nose helps you know right from wrong as you go along the Cub Scout trail. is for courage. The mark on your chin reminds you to always speak the truth. stands for the spirit of nature. The marks on each cheek will guide you to live in harmony with the great outdoors. Personnel: Cubmaster, Webelos Leader, Den Chief, Scoutmaster, Boy Scout candidates and their parents. Equipment: American flag, pack flag, troop flag, bridge, *troop neckerchief for each Scout (*or Scout Handbook). Setting: The bridge is in place in center of stage area, pack flag is to the left of the bridge, the American flag and troop flag to the right. Candidates and parents are to the far left, to be escorted to front. This ceremony of crossing the bridge marks your completion in Cub Scouting, just as it marks the beginning of a whole new experience in Boy Scouting. Congratulations and good luck!